Fantástico Sur > Tarifas Alojamientos > RATES FOR INTERNATIONAL TOURISTS 2018-2019. 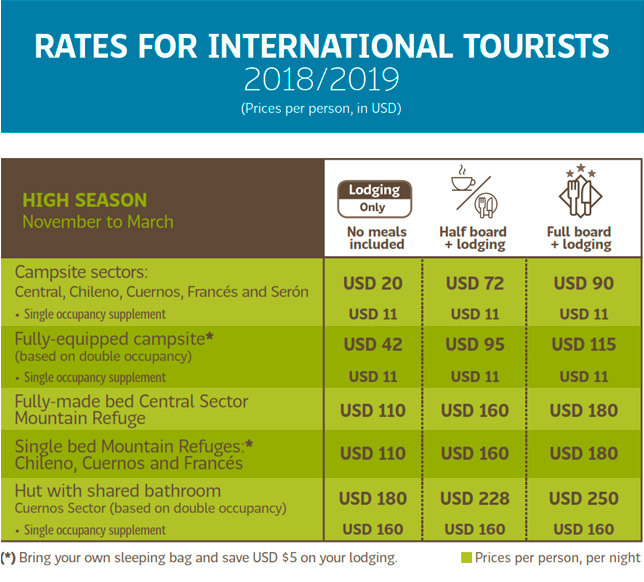 RATES FOR INTERNATIONAL TOURISTS 2018-2019. Lodging in mixed, shared rooms with bunk beds for 6 people. Each bed is equipped with sheets, blankets, and towels. There is also a USB port, a light, and a locker. Lodging in mixed, shared rooms with bunk beds for 6 people. Each bed includes a sleeping bag, liner, pillow, and towel. There is also a USB port, a light, and a locker. 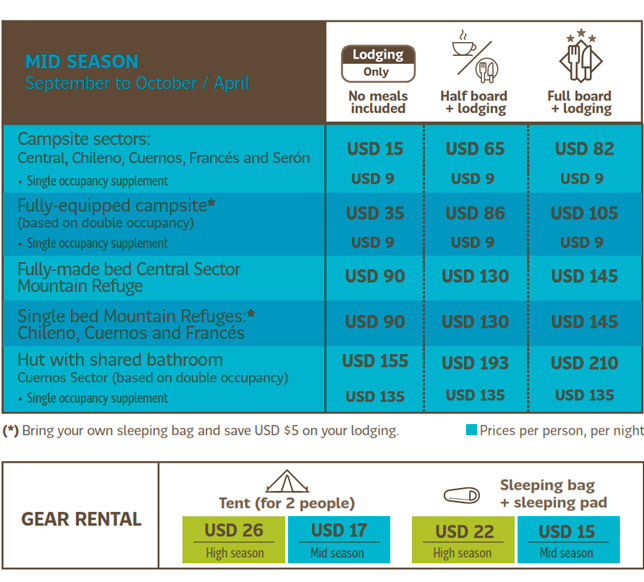 The huts located in the Cuernos Sector oer rooms for 2 people (3, subject to availability) with fully-made beds and towels. Every Hut has firewood heating (Bosca fireplace) and shared bathrooms exclusively for the huts.